Everyone is talking about their big parties tonight or quiet night alone. Tomorrow many people will begin their resolutions. I never have kept a resolution, the closest I got was to May or June. I had decided to stop cursing because my language was terrible at the time. After I found out I had been cheated on in the spring, I decided to give boys a break and try cursing again. I don’t want to call them resolutions I want to be more free flowing. Why set yourself up for a guilt trip later? Why not list your hopes and dreams for the new year? My hopes and dreams always far outweigh my accomplishments bucket, but I slowly plug away and get a few more things done. • I wish to keep trying new recipes with my hubbster. Maybe try another country/culture specific dish. • Expand our chicken flock, build a simple coop and get free eggs all summer. Buy seeds, plan, start and plant. We skipped 2013 and we were pretty sad every day we didn’t have fresh produce in the backyard. • Read more for fun. Get a book, read it all the way through in two weeks. Quit hanging onto one tiny paperback for two months and then barely finishing it. Visit people, just to sit and have tea. Talk about happy things, really listen and respond to stories from their life and how they are feeling. Like plants; I need to tend to my relationship garden more. That’s all I can think of off the top of my head. There are more serious hopes like, finding a solid job that doesn’t kill my spirit, paying off bills so I can travel, and exercising more. However, I don’t need a new year to start these things. Do you have hopes, dreams, goals, resolutions for the new year, or have you had revelations in 2013? 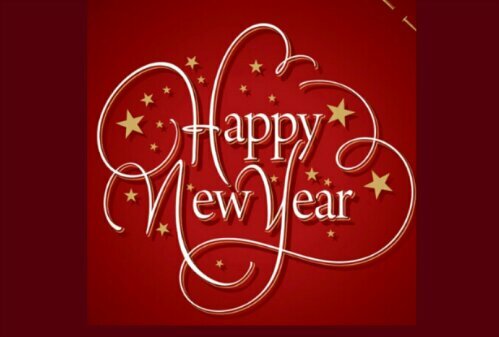 My wish to all my readers is the warmth of a good meal in their stomachs, happiness in their hearts, and the strength of spirit to achieve their goals for the upcoming year. Last week, Kit and I went to L-ville to visit some dear college friends. 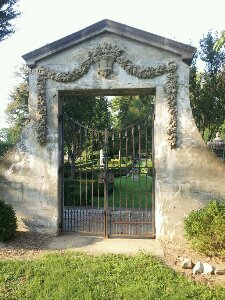 One of my buds is the estate manager for a famous author, so as part of our visit we got a tour of the grounds. I loved this statue of Pan and my friend couldn’t help but ham itit up for the camera. Love it! 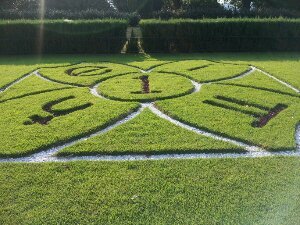 One of the owners had a special garden that he personally likes to care for. The shapes happen to be a special part of his studies and teaching. 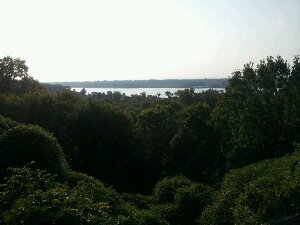 Check out that river view!! One of the water gardens on the property. 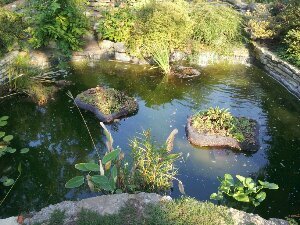 This one had adorable floating garden pieces which moved around because of the little waterfalls at the edges of the garden. 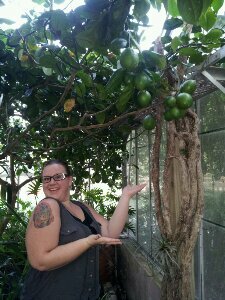 Check out those lemons! My horticulture friend hand pollinated all the flowers to get those enormous fruits! I hope they like lemonade. 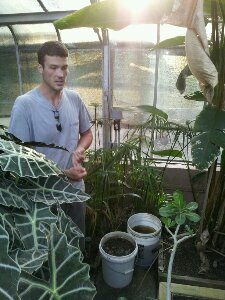 My Hort friend nerding out and explaning the process of making and using compost tea. He is standing next to an amazingly huge African Shield plant. Check out these awesome land owners. 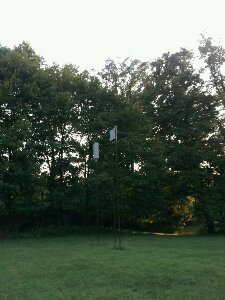 They have rocket box style bat houses on their property! Anyone who helps make a happy home for bats are alright in my book! 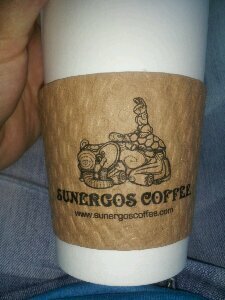 I ended the day by cashing in on a favor and grabbing a cafe miella (cinnamon and honey) latte at Sunergos. Since I’ve been back from Spain I have been trying to get my rhythm. Not too hard, but it does take time. 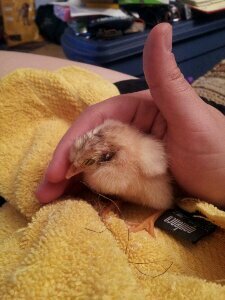 I tried to save the weakest chick of nine thar hatched (just before I got home). Sadly, Mr. Chicklet didn’t make it but we had some happy times before he passed. 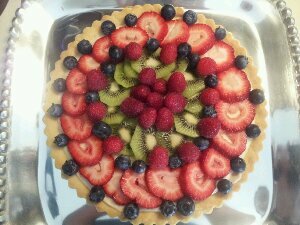 Been cooking with my girl. 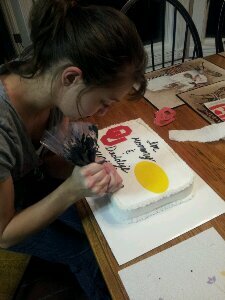 I assisted with cake decorating for a sports themed baby shower. What is even better is I didn’t mess up the cake. I didn’t do the fancy writing but icing that sucker was a task in itself! 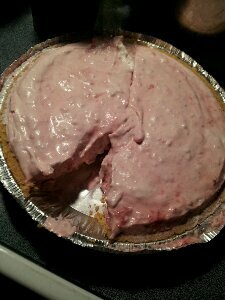 Picked some fresh strawberries, mashed and mixed them to make strawberry pies. Folks at work made the one pie disappear in under 30 minutes. Maybe more pie next time. 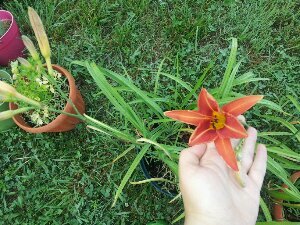 My poppies and tiger lilies are blooming. It makes the backyard look super jolly! 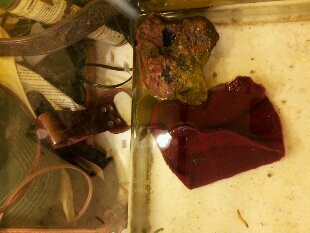 We also purchased a wee soft shell turtle. We plan on letting him grow bigger and releasing him into our backyard pond. There are some sliders in there now and frogs and I don’t want Jubal to be bullied by the other creatures in the pond. Those are the highlights of the last couple of weeks. We have been enjoying hot days but not the too stinking hot days we are used to in June. Such a relief after last year’s scorcher. 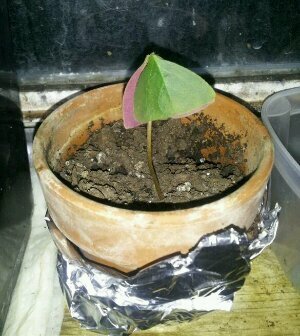 Day 349: Shammy Plant Lives! 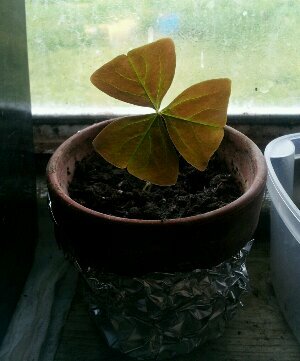 My shamrock plant has reclaimed vitality! I couldn’t believe it! It died for whatever reason and my plant savvy friends told me to keep it in the sunshine and keep watering it. Low and behold, it returned. I love that they close up at night! It seemed wildly active. I turned it away from the sun and within three hours it turned like a rotating satellite towards the sun. My cactus has been quite happy since moving outside. I had my (many) buckets inside over the winter, but I can tell they have missed the sun. It looks like there are either buds for new paddles or for flowers. 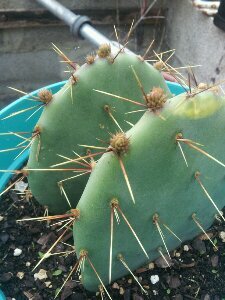 I have plenty of paddles where they keep sprouting off my two oldest cacti. I just really want some pretty flowers! Apparently, my herb buckets from last year did better than I thought. I have a bucket of cilantro and mint that was happy to return this year. 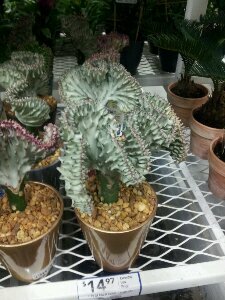 While wandering the many aisles of Lowe’s looking for wire shelving, I found some freaky cacti. For some reason this coral cactus threw me for a loop. I was so shocked by its shape that I questioned it rhetorically out loud. The helpful Lowe’s employee wanted to engage in my wonderment. He didn’t seem genuinely impressed by this wild plant. Come on, people, when did this plant make the evolutionary jump to being wibbly shaped? Maybe one day the cactus council got together and heard the young rebellious cacti in their plea. The young and restless wanted to become weird, memorable and badass. 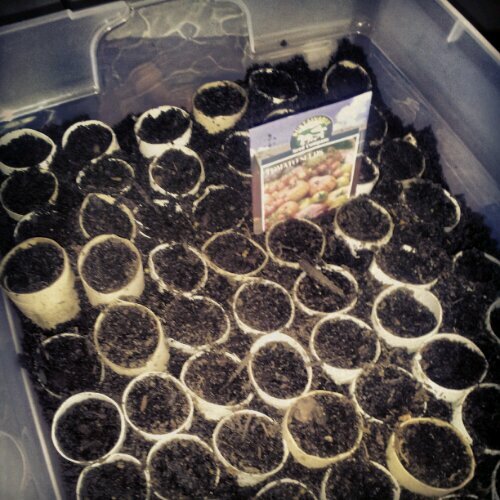 Last week, Kit and I made a seed tray out of empty toilet paper rolls. Much like the expensive peat pots, we will plan these directly into the garden. We bought a five dollar plastic box and cut each roll in half. Next, we took out the rolls and put in several inches of dirt. We pressed the rolls down into the dirt, like cookie cutters and filled some of the rolls with more dirt as needed. We left some soil in between the rolls to help the moisture travel between cells when we water them. They are doing wonderfully now and almost all the cells are up! 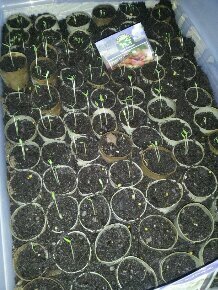 We planted San Marzano paste tomatoes, oregano, dill and basil in this tray. We need to get proper plant markers or popsicle sticks and we need more TP rolls to start another tray!